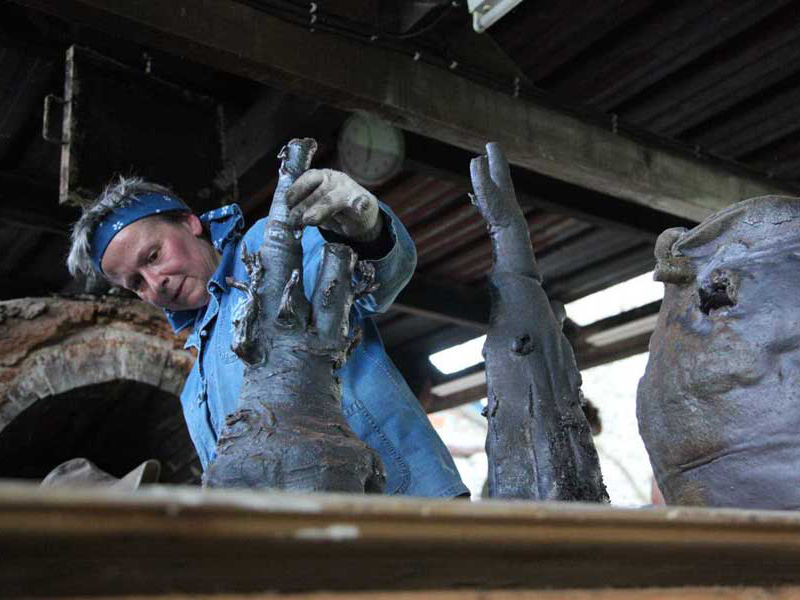 Le four peut atteindre des températures autour de 1350°, mais il ne s’agit pas de les atteindre au plus vite, mais bien plutôt de rechercher les stigmates d’une longue et lente maturation. 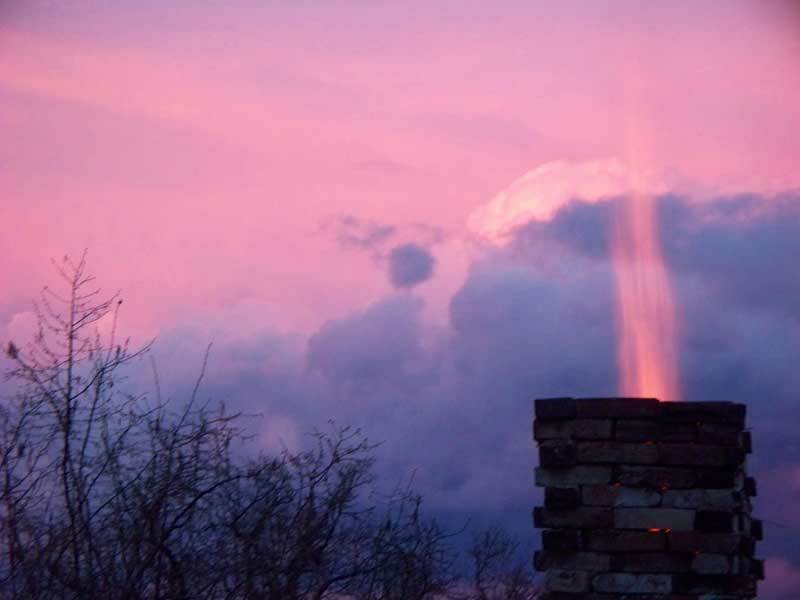 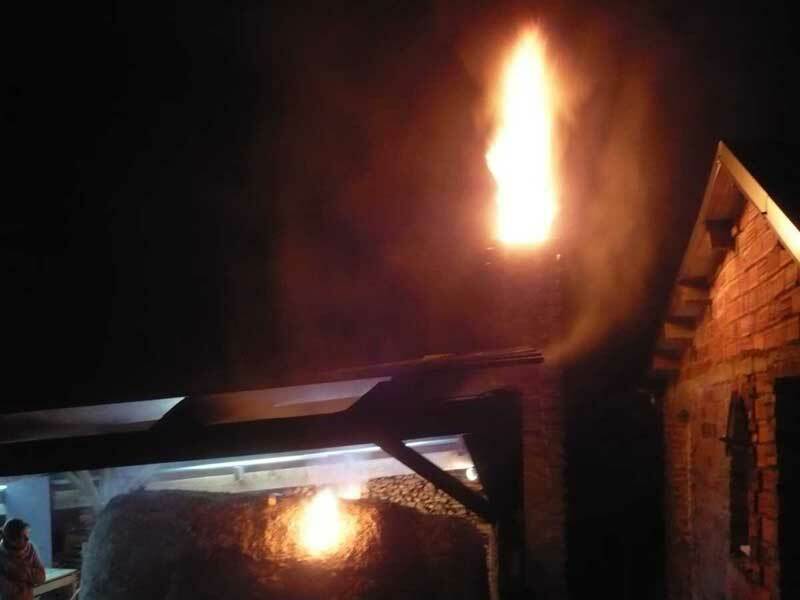 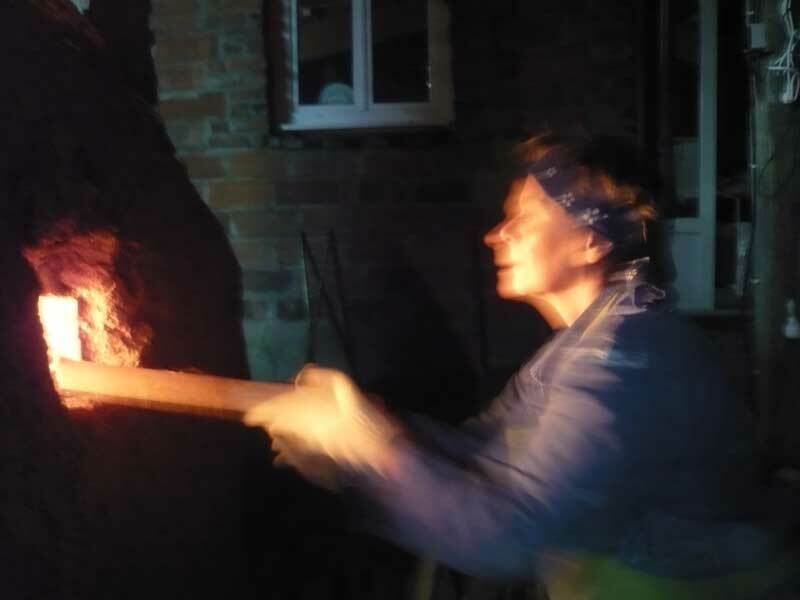 Le feu se prolonge plusieurs jours et nuits, cuisant ainsi le travail de plusieurs mois. 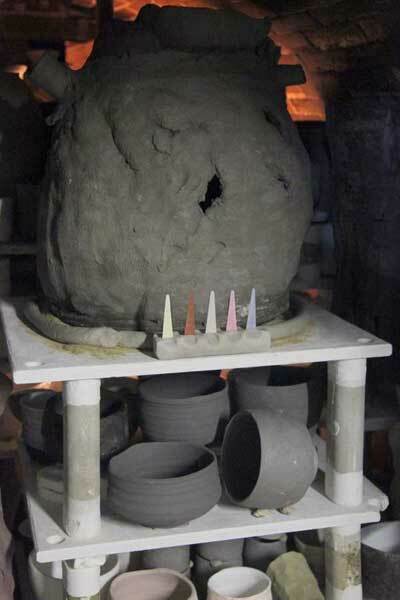 during the firing and the moment when they are burnt. 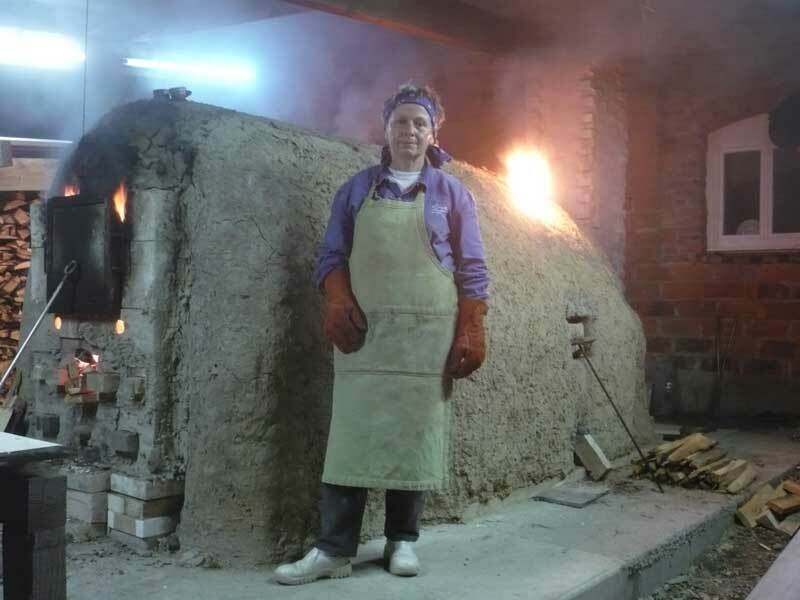 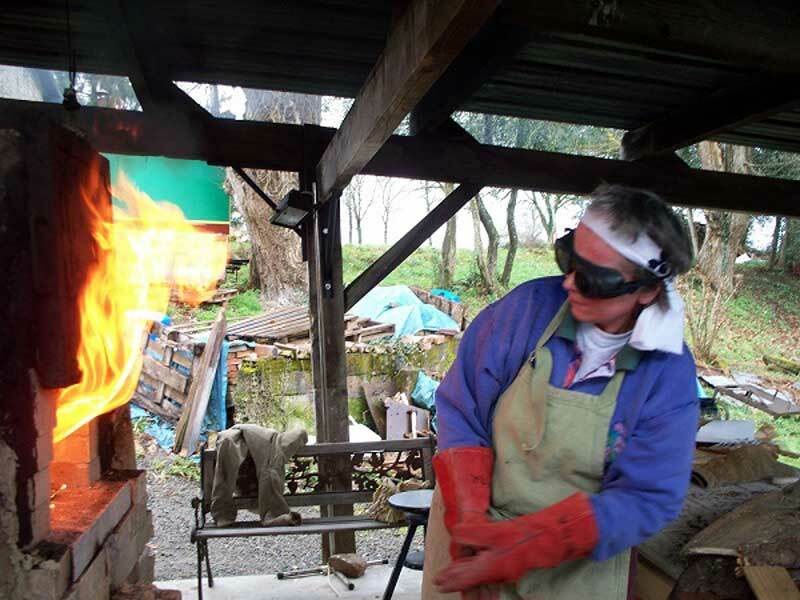 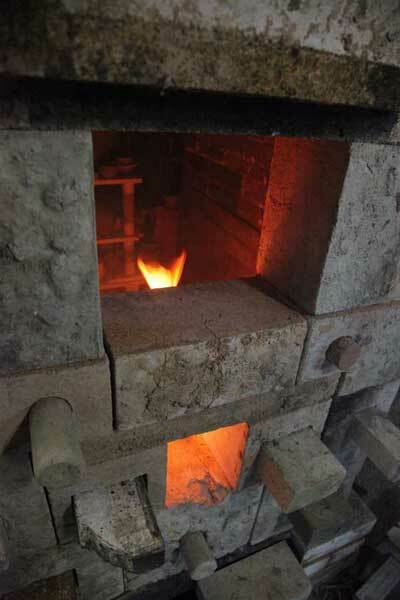 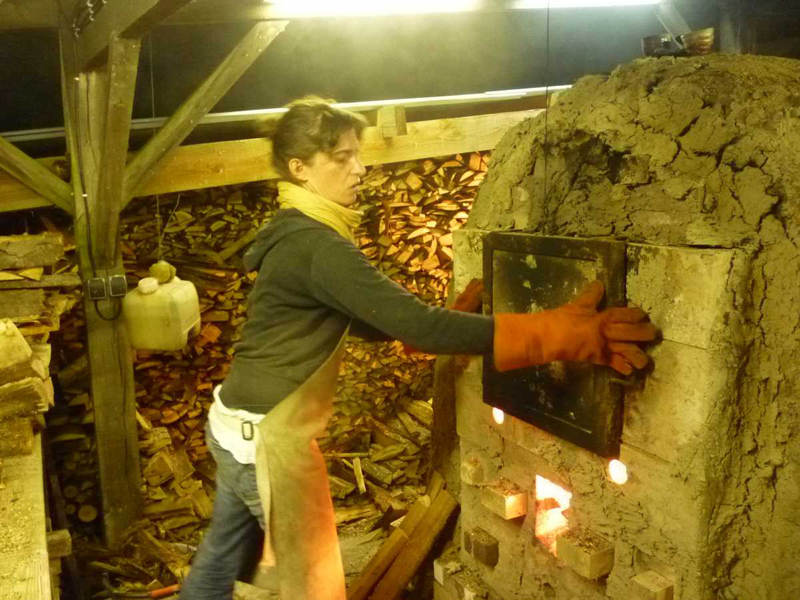 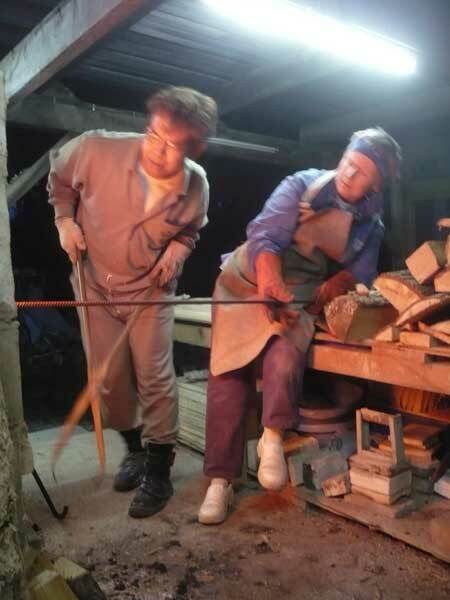 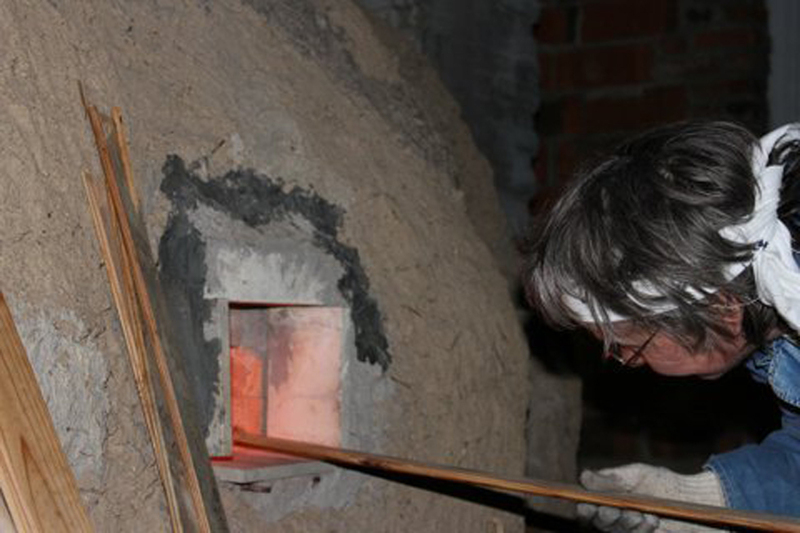 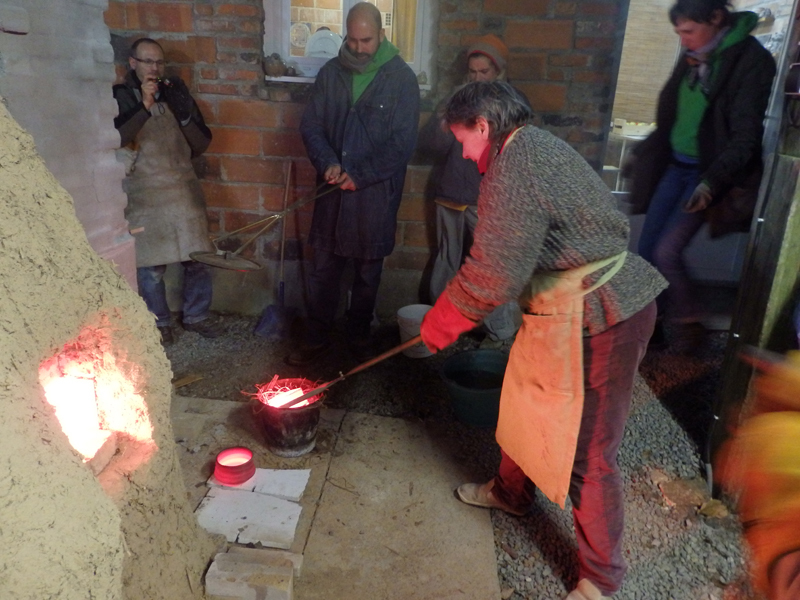 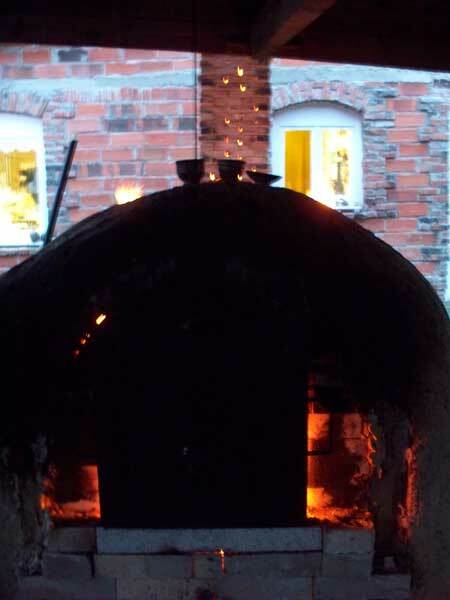 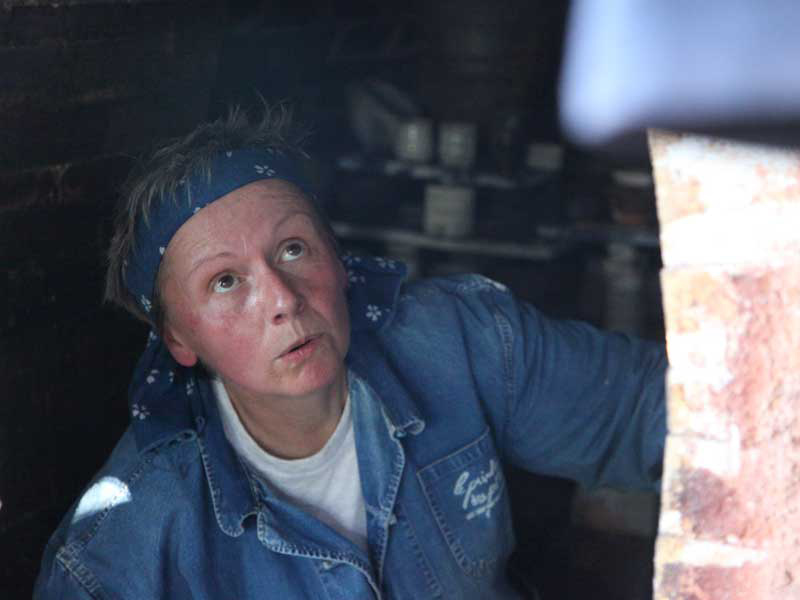 But the process is not so heavenly.. Wood firing is extremely hard work. 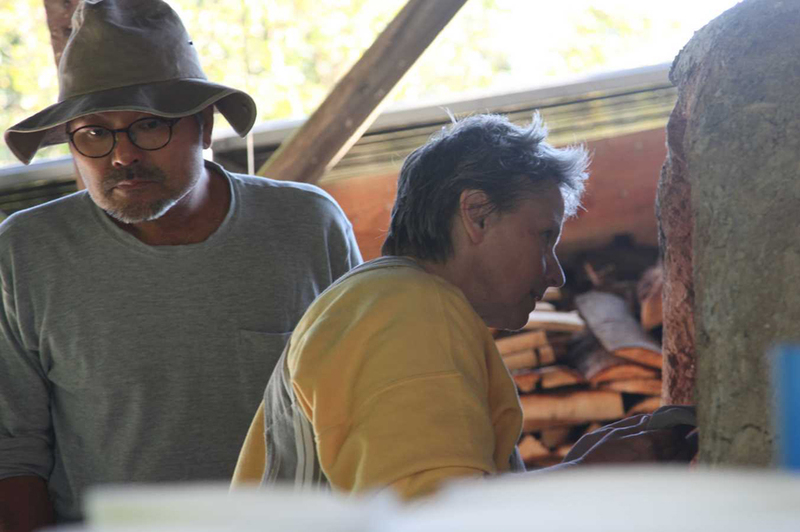 From the time that the wood is delivered through to the moment the works are taken off the kiln there is an incredible amount of effort required to cut and stack the wood, to make, glaze the Shinos, stack about 500 pieces and stoke the kiln with 3 tons of wood for 5 days… it’s not the easiest technic of making pots. 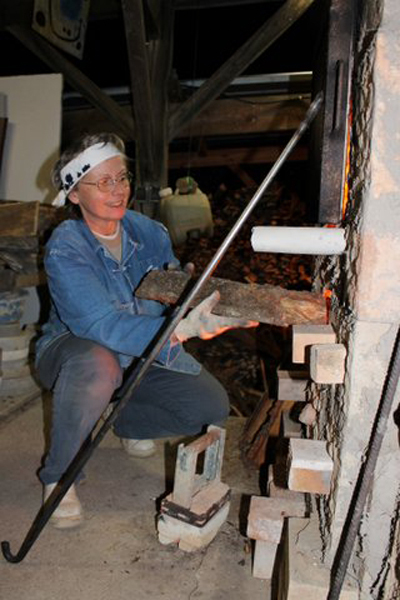 Nevertheless, the rewards can be spectacular and there is no other way to fire pots that results in surfaces with the depth and richness of high temperature wood-fired ceramics. 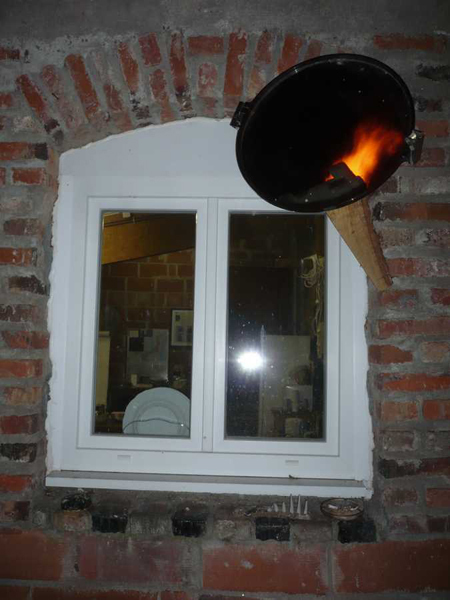 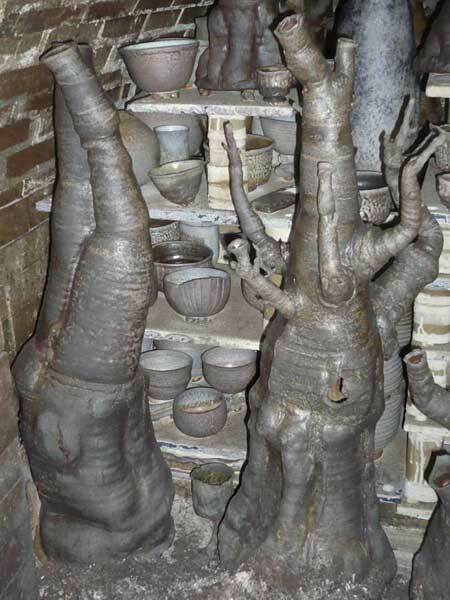 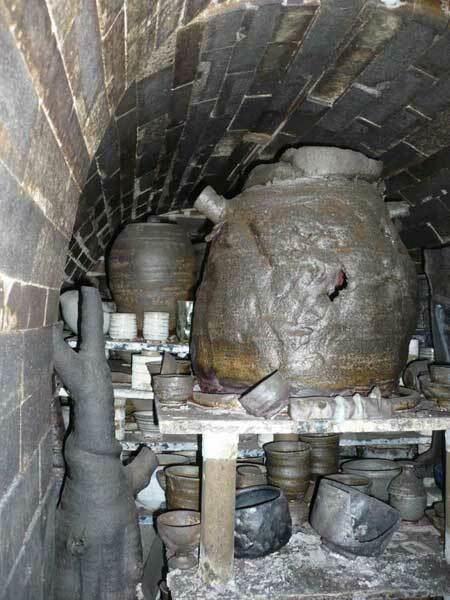 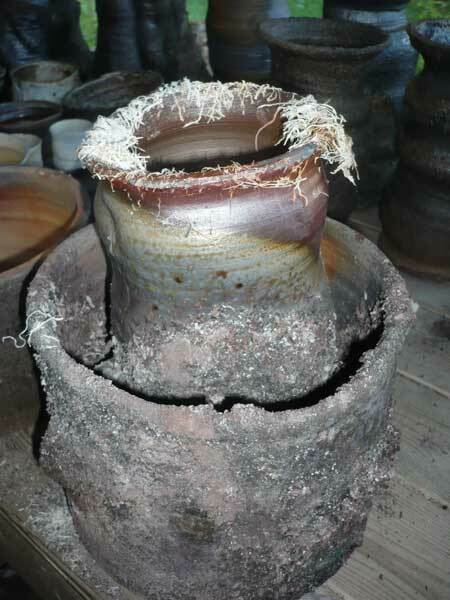 Not every pot is a success of course....wood-firing is an intensive way to fire and things may go wrong. 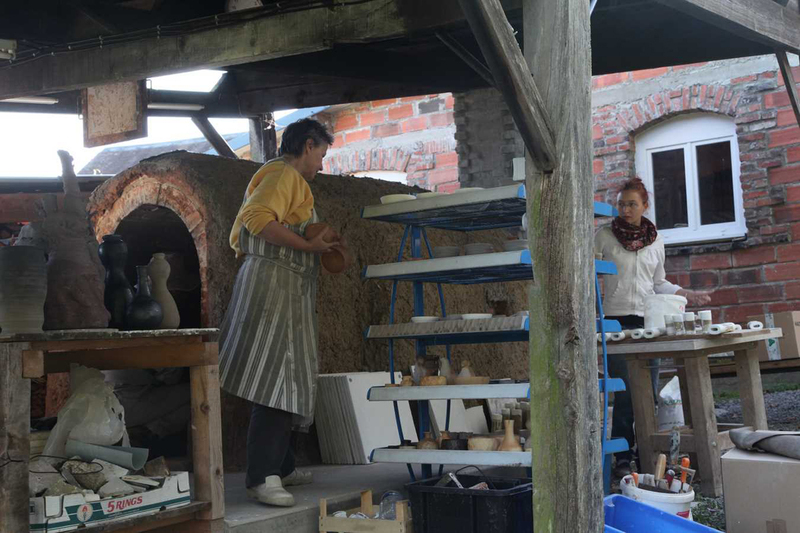 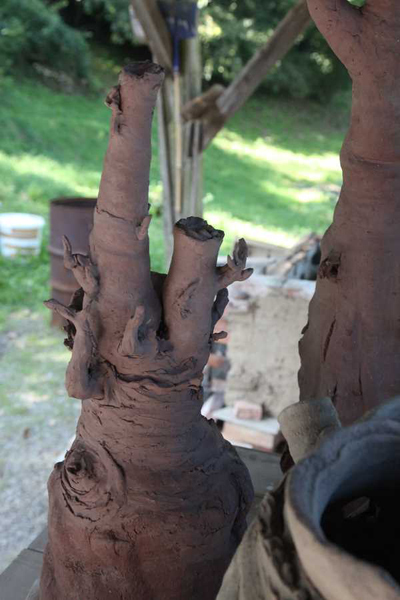 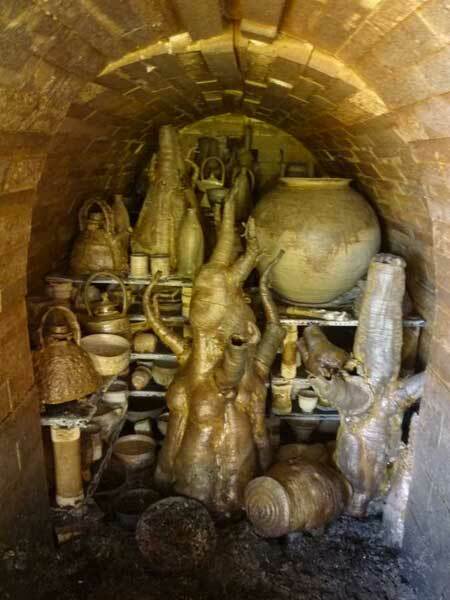 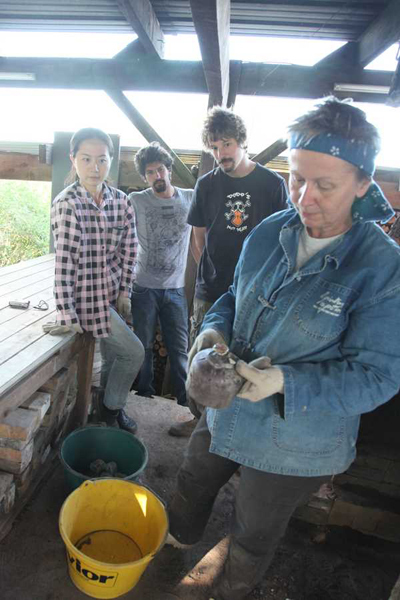 Every wood-firing is a new opportunity for me to connect with my kiln and to give birth. 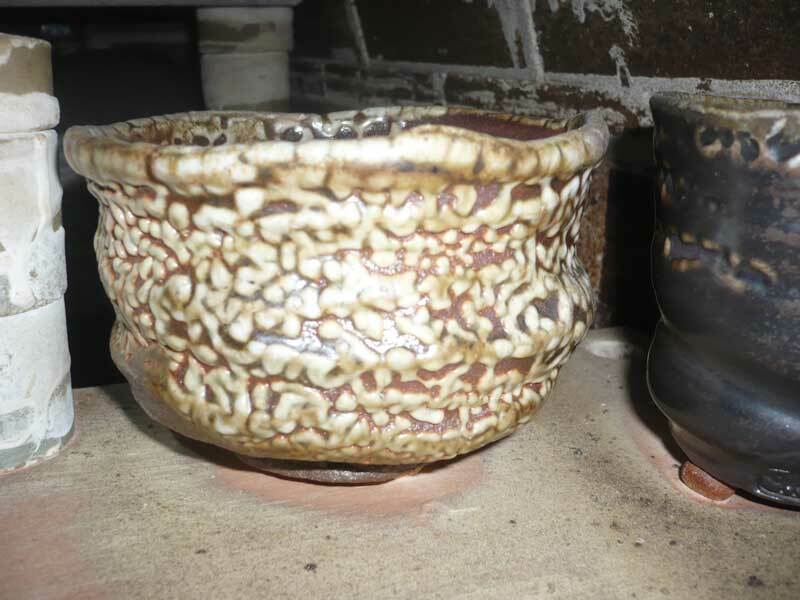 Opening the kiln is always a thrill because I’m sometimes stunned by works. 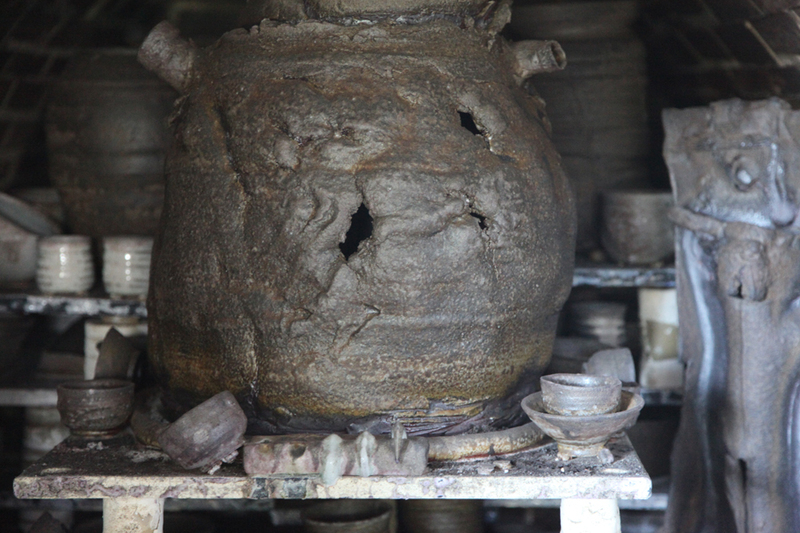 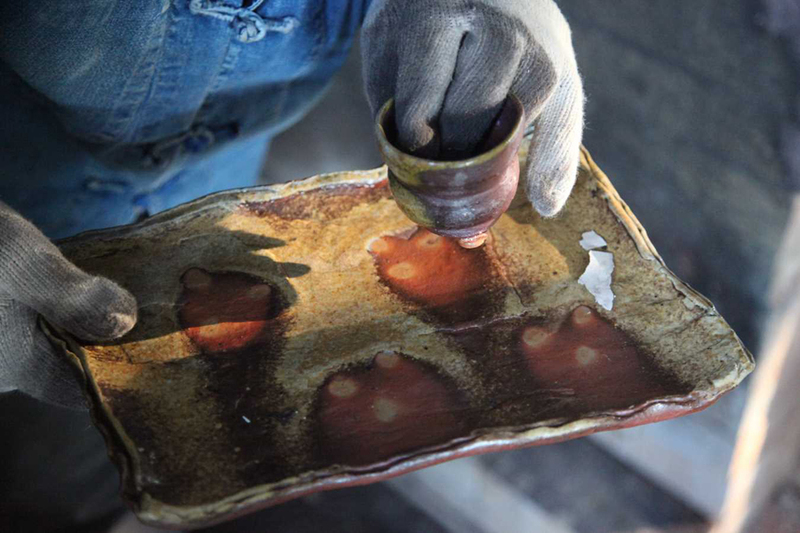 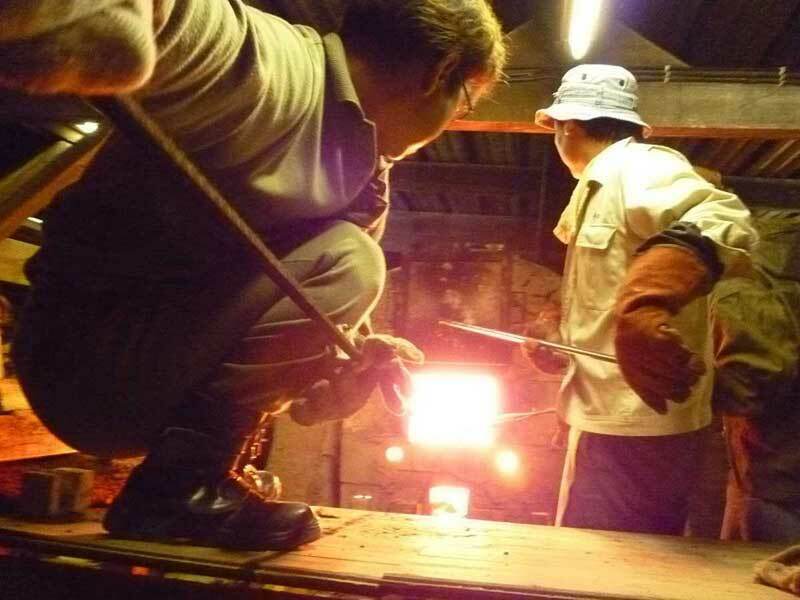 In my mind, these works have been chosen to pass through the ages..
Raku de haute température "Ikidashi"